New York Yankees Manager, Joe Girardi, sported a Soldiers' Angels t-shirt during his press conference on July 4th. He mentioned Soldiers' Angels during the interview and the great work all of our Angel volunteers do for service members, veterans, and their families. 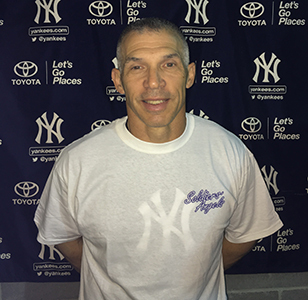 Thank you to Joe Girardi and the New York Yankees for showing your support for Soldiers' Angels! Watch the press conference here.